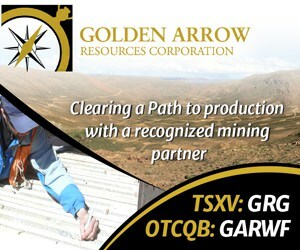 NioCorp Developments Ltd. (“NioCorp” or the “Company”) (TSX:NB) (OTCQX:NIOBF) (FSE:BR3) announces that it and Northcott Capital (“Northcott”) have engaged the engineering firm of RPM Global (“RPM”) to serve as independent engineer as part of the anticipated process for obtaining debt financing for the Elk Creek Superalloy Project (the “Project”) in Nebraska. A highly regarded international mineral resources consulting and engineering firm, RPM (formerly RungePincockMinarco) will conduct technical due diligence for the financial institutions expected to form a debt syndicate to help finance the Project. 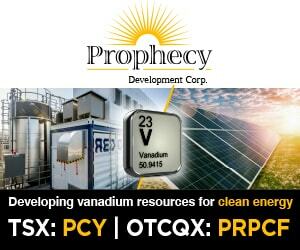 RPM has served as Lenders’ Engineer for a total of 32 projects over the past five years, including in the China Molybdenum Company’s 2016 purchase of the Anglo-American Catalao Niobium mine in Brazil, where RPM provided acquisitions due diligence, JORC Resource and Reserve Statement review, and valuation support. Northcott is leading the effort on NioCorp’s behalf to assemble the expected debt component of the Project’s overall financing package. NioCorp previously obtained in-principle eligibility for a loan guarantee to be provided by the Federal Republic of Germany to support the Company’s debt financing strategy. That loan guarantee, if approved by the German government, may form the anchor component of NioCorp’s debt financing. Neither TSX nor its Regulation Services Provider (as that term is defined in the policies of the TSX) accepts responsibility for the adequacy or accuracy of this document. Certain statements contained in this document may constitute forward-looking statements, including but not limited to the timing and results of the Project feasibility study, the potential economic feasibility of the Project, the decision to begin construction at the Project, the future debt financing needs for construction at the Project, the services of the independent engineer to the potential debt syndicate, the ability to form a debt syndicate for the Project, and NioCorp’s ability to secure necessary financing to construct the Project, including any financial assistance from the German Government, and the speed with which such financing can be secured, if at all. Such forward-looking statements are based upon NioCorp’s reasonable expectations and business plan at the date hereof, which are subject to change depending on economic, political and competitive circumstances and contingencies. Readers are cautioned that such forward-looking statements involve known and unknown risks, uncertainties and other factors that may cause a change in such assumptions and the actual outcomes and estimates to be materially different from those estimated or anticipated future results, achievements or position expressed or implied by those forward-looking statements. Risks, uncertainties and other factors that could cause NioCorp’s plans or prospects to change include changes in demand for and price of commodities (such as fuel and electricity) and currencies; changes or disruptions in the securities markets; legislative, political or economic developments; the need to obtain permits and comply with laws and regulations and other regulatory requirements; the possibility that actual results of work may differ from projections/expectations or may not realize the perceived potential of NioCorp’s projects; risks of accidents, equipment breakdowns and labor disputes or other unanticipated difficulties or interruptions; the possibility of cost overruns or unanticipated expenses in development programs; operating or technical difficulties in connection with exploration, mining or development activities; the speculative nature of mineral exploration and development, including the risks of diminishing quantities of grades of reserves and resources; and the risks involved in the exploration, development and mining business and the risks set forth under the heading “Risk Factors” in the Company’s S-1 registration statement and other filings with the SEC at www.sec.gov. NioCorp disclaims any intention or obligation to update or revise any forward-looking statements whether as a result of new information, future events or otherwise.